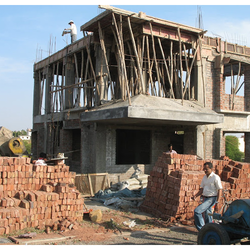 We are speclialist in demolishing building / Bunglow, Since we are in this business from last 20 years..
As per the growing necessities of our patrons, we are indulged in rendering Building Construction Service. - The International trend in luxury residence arrives in Mumbai. - Spacious apartments artistically conceptualized to complement your lifestyle persona. - Designer urban artistry your Lifestyle palette. Preferable Date / Month: as per cos. Number of Shops/Rooms: as per cos.
We are amid one of the renowned names involved in presenting to our clients College Building Construction Work. So as to attain the ample gratification of our patrons, a crew of dexterous personnel confirms to render these services as per the information given by our patrons. 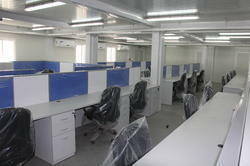 To add, the provided services are imparted to our clients within the pre-determined span of time. JMC has become a renowned name in ‘Buildings & Housing’ sector, equipped with PAN India reach, knowledge & expertise and experienced manpower to undertake all types of building and housing projects. JMC has been providing world-class infrastructure support to India’s growing Industrial, Retail, ITeS and Services sector. This is an IT park comprising of double basement & ground plus 15 storeys. The building consists of post-tensioned slabs and from the fifth floor, the building is cantilevered by 11mtr. Concrete was made on site using Stetter CP30 batching plant. Seismic resistant Building design and ductile detailing for RCC Frame. Shear Wall and Lift Shaft Details. Foundations for Pre Engineered Buildings. Flat Slabs, Post Tensioned slabs and beams. Kalzip is suitable for both warm and cold roof constructions - any shape including curved and/or tapered, and any pitch from 1.5° upwards. The system’s low weight, durability, speed of construction and adaptability make it equally suitable for new build and refurbishment projects.